[toc]Water Retention is a medical condition of the body where there is excess accumulation of water in the body tissues and cavities. Water Retention or fluid retention as it is commonly known occurs because of excess salt intake by the body, inability of the kidney to remove water from the body, hormonal imbalances, excess exposure to heat, PMS etc. A person suffering from Water Retention usually experiences swelling in the hands and feet, general body stiffness and pain, weight fluctuations, general bloated feeling etc. However, Water Retention can be easily prevented by consuming adequate amount of water, consuming a nutritional and healthy diet, exercising daily and reducing the daily intake of salt. Below mentioned are some important herbal remedies for Water Retention. Dandelion is one of the best herbal remedies used for Water Retention. Dandelion is naturally rich in diuretic properties which help the body in getting rid of excess water. Dandelion helps in retaining useful and essential minerals like potassium, magnesium etc. in the body, while eliminating excess water. 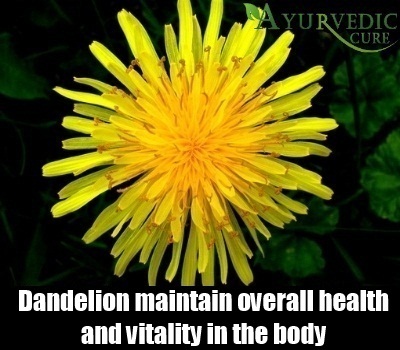 Dandelion is also very useful in stimulating the functioning of the kidney. Dandelion is very effective in maintaining overall health and vitality in the body. Due to its property of inhibiting water retention, it has been popularly used as an herbal remedy to reduce weight. Dandelion leaf is especially helpful in reducing water retention due to PMS. Dandelion can be consumed in form of herbal tea, decoctions, wine, capsules, tonics etc. It can also be consumed raw or in form of green salad. Horsetail has been used sine ancient times to cure the problem of Water Retention in the body. 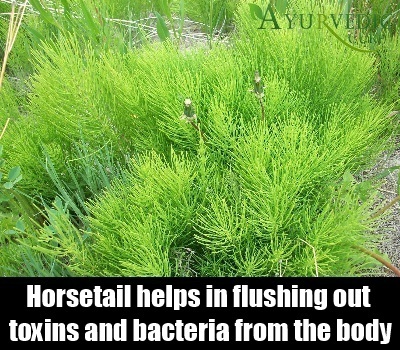 Horsetail is renowned for its diuretic properties, thereby helping in increasing the flow of urine. This not only helps in removing excess water from the body, but also helps in flushing out toxins and bacteria responsible for urinary infections without disturbing the electrolyte balance in the body. Horsetail also helps in supporting the kidney functions and can be easily consumed everyday for maximum benefit. Horsetail herbal tea is very effective in Water Retention problem. It can also be taken in form of powder, capsules, tincture, tonic etc. Alfalfa has been used actively by the Chinese and Indian people since ancient times to solve the problem of Water Retention. 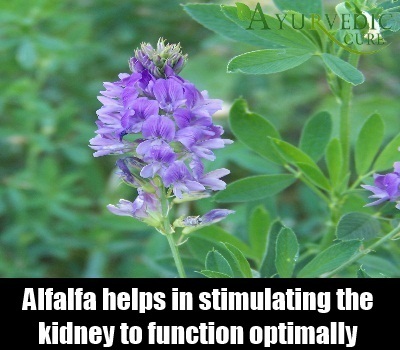 Alfalfa helps in stimulating the kidney to function optimally and increases the flow of urine from the body. Both these properties of Alfalfa helps in removing excess water from the body and reduces the swelling of the body parts caused due to Water Retention. The leaves of Alfalfa and the whole herb itself is rich in medicinal properties and can be consumed internally to get relief from Water Retention. Alfalfa is available in form of leaf extract, dried powder, capsules etc. It can also be consumed in form of herbal tea and greens added to salad. 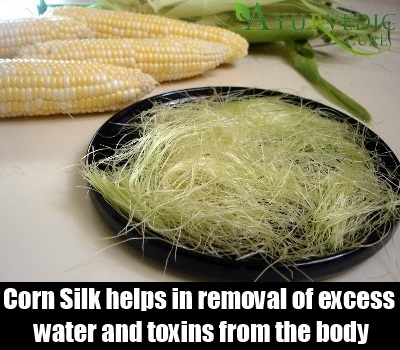 Corn Silk is yet another very effective herbal remedy for Water Retention. The silk present in the corn is rich in medicinal properties and ha been used traditionally by herbalists to support the better functioning of the kidney. Corn Silk is rich in diuretic properties and encourages the flow of urine. This helps in removal of excess water and toxins from the body. Corn silk is usually very effective when consumed internally in form of herbal tea. A person can consumed about 3-4 cups of corn silk herbal tea per day to experience maximum benefit in regards to Water Retention. Alternatively, corn silk can also be consumed in form of extract. Parsley is the most commonly used herbal remedy for Water Retention in the body. Parsley helps in getting rid of excess water by increasing the output of urine from the body. Parsley prevents the re-absorption of salt in the body, thereby preventing swelling and bloating which are the common symptoms of Water Retention. 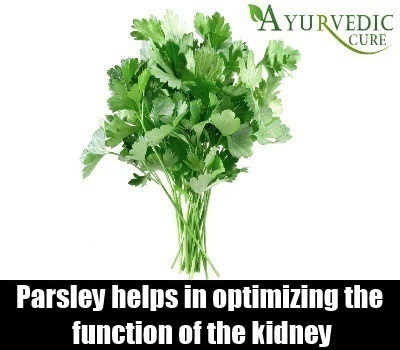 This herb also helps in optimizing the function of the kidney, thereby helping to expel toxins from the body. An herbal tea made using water and parsley, is especially very effective in removing excess Water Retention, kidney and urinary bladder stones and other infections. Parsley can be also sprinkled on top of salads and consumed. It can also be consumed in form of tincture and capsules to avoid the problem of Water Retention. Stinging Nettle has been used since centuries to prevent the problem of Water Retention. This herbal remedy helps in providing nourishment to the kidneys and adrenal glands, thereby improving their functioning. Stinging Nettle also helps the excretion of uric acid and other toxins from the body responsible for bladder infections. All these properties of Stinging Nettle makes it much sought after herb for removing Water Retention. Stinging Nettle is also very effective in preventing bed wetting by toning the weak bladder muscles. A herbal tea made using Stinging Nettle is especially very effective in solving the problem of Water Retention and swelling associated with it. It is also available in form of infusions, extract, capsules, tonic etc. Uva Ursi is a much sought after herbal remedy for curing the problem of Water Retention and its associated symptoms. Uva Ursi is rich in diuretic properties and thus, helps the body to get rid of excess water and fluids. It also encourages the flushing out of toxins and harmful bacteria which causes UTI’s in the body. Uva Ursi is also very helpful in bringing down inflammation and swellings in the tissues caused due to Water Retention. 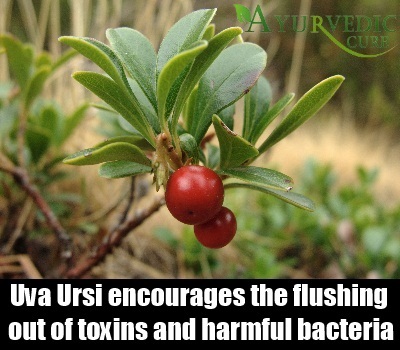 Uva Ursi is best effective when used in combination with other herbs like yarrow. This herbal remedy can be taken in form of herbal tea, capsules, tonics etc. Buchu is yet another very effective and useful herbal remedy for Water Retention. 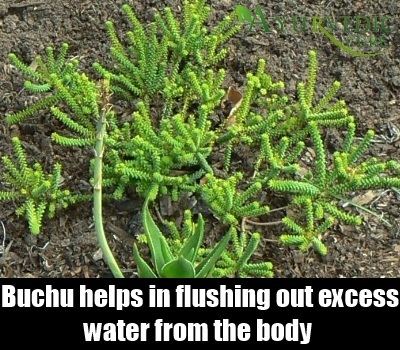 Buchu helps in flushing out excess water from the body due to its diuretic properties. It also helps in reducing the inflammation and harmful bacteria from the body. Buchu is actively used in treating various urinary tract diseases like UTI’s, prostrate and kidney infections etc. The leaves of Buchu are rich in medicinal properties and have been used to treat the problem of Water Retention. Buchu is an active ingredient of many over the counter medicines available for Water Retention. Buchu can be consumed in form of tincture, herbal tea, tonics etc.